The first muscle rub product I ever blended was for a friend who wanted a post-workout product to help relax her sore muscles and help her to feel uplifted after her intense workouts. Since then, I’ve further experimented with different recipes to test their effectiveness and this one has turned out to be my favorite. It’s great for post-workout care, but it’s also incredible when you’re just feeling sore, are experiencing muscles aches and pains, have some pesky knots in your back (or neck), or when you’re just carrying a bit more tension than normal in your muscles and want to relax. Melt your beeswax in a double boiler over low heat. Once it’s thoroughly melted, stir in your carrier oils until they are mixed well with the beeswax. Remove the blend from the heat and stir in your essential oils. This formula uses a 3% dilution of essential oils. 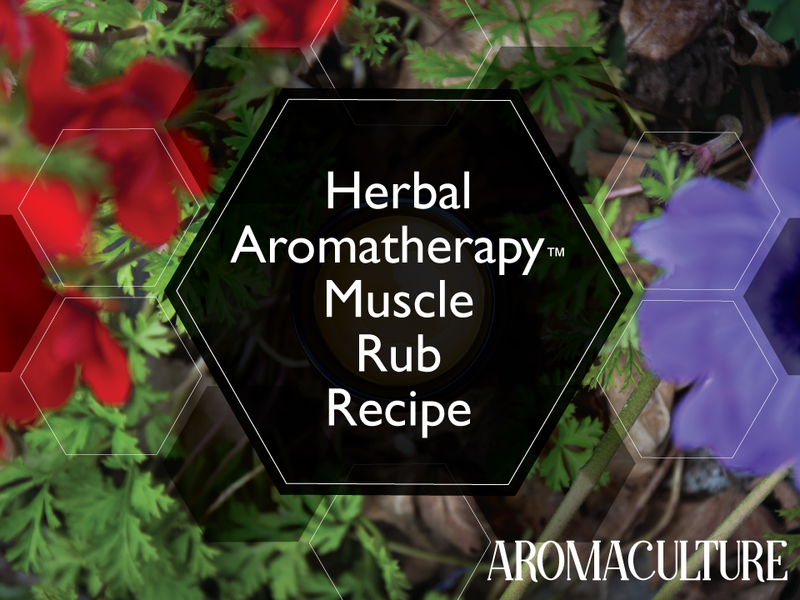 If the product isn’t for daily use and is going to be used for more acute muscle pain, you can increase the amount of essential oils to a 5% dilution. Additional tip: Spray Douglas Fir hydrosol onto the skin prior to applying the ointment. The product will spread better and feel less greasy, you’ll be sealing a little extra moisture into your skin, and you’ll receive the added benefits the hydrosol brings as well! I hope you enjoy this recipe. What are your favorite post-workout herbs and essential oils?